the more than 500 passengers on board. drama, just as they lived it. Americans to play themselves in the film. 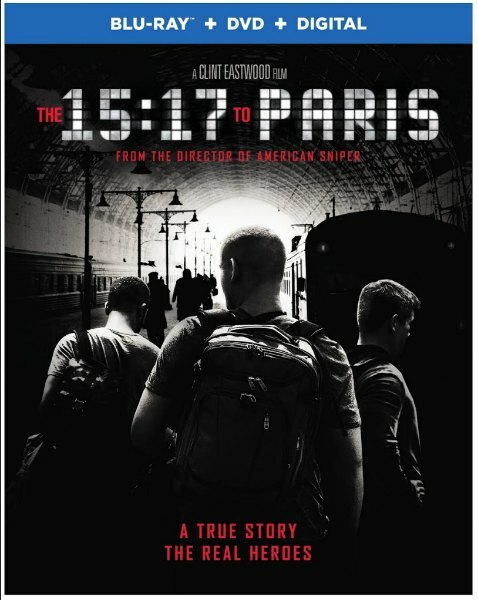 One lucky Be Your Best Mom reader can win a copy of 15:17 To Paris on Blu-ray or DVD! US ONLY! 18 and Over to enter! Giveaway ends on June 10th at NOON. Good Luck! 6. Follow Be Your Best Mom on Instagram and leave me a comment here that you have done so! 7. Follow Be Your Best Mom on Pinterest and leave a separate comment! I would love to win this movie. Clint Eastwood is a fantastic director. Thanks for hosting. I would love to win. I’d like to watch this with my husband. This movie looked so good. I missed it at the theater due to son and schedule. Crossing fingers I get to see it soon via Netflix or winning either way work. I really want this! Thanks for the chance! Here is my twitter entry for June 1, 2018 https://twitter.com/BWallace1980/status/1002492602933968897. Thanks. Americans to play themselves in the film. I will watch any movie that Clint Eastwood is involved in. I want this dvd, thank you for the chance to win! Have wanted to see it. I follow you via Twitter (@eveningstarr1). I would love to win this. I like that the real life heroes are in the movie.